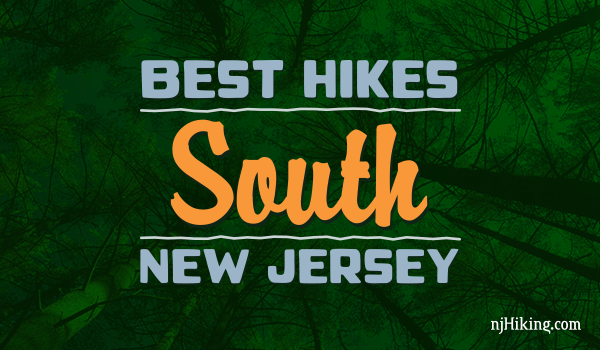 South Jersey is often overlooked as a hiking destination but it offers unique and interesting hikes that every Jersey hiker should check out. The south is dominated by the “Pine Barrens” – over one million acres – so trails are usually easy, level, soft, sandy, and covered in pine needles as opposed to the the hilly, rock-filled northern trails. The south is especially striking in winter with the contrast of evergreen trees against snow (and as a bonus, the bugs are not around! ).